Approximately 1 million people attends San Francisco Giants Victory Parade on Market Street in celebration of winning the MLB World Series on Wednesday Nov. 3, 2010 in San Francisco, California. The Giants defeated the Texas Rangers in five games for their first championship since the team moved west from New York 52 years ago. 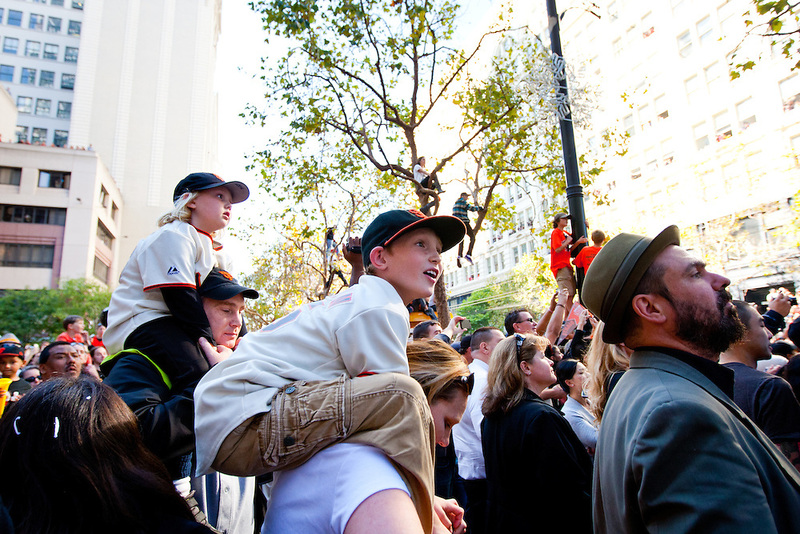 SF Giants victory parade celebration World Series San Francisco Texas Ranger.